Since their life span is really short, they really don’t waste any time… As soon as they get out of their cocoons, they look for their mate. 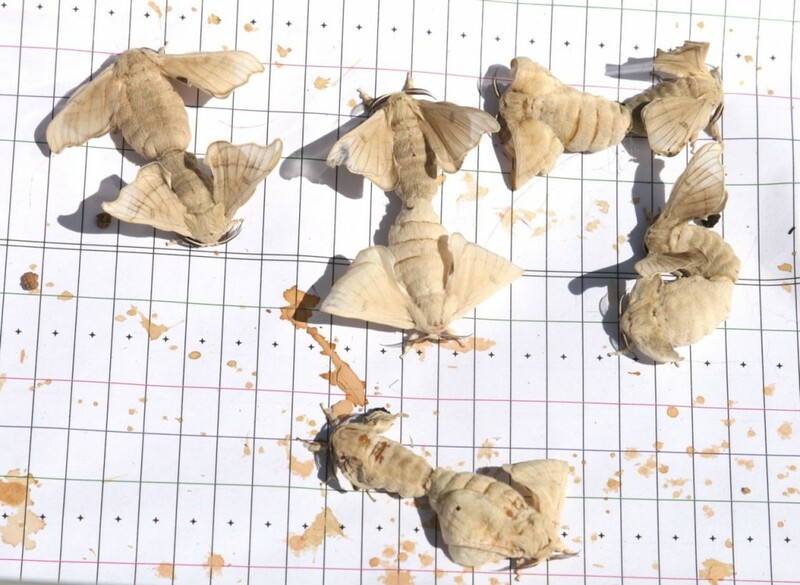 The moths are born without a mouth, so they die within a week. 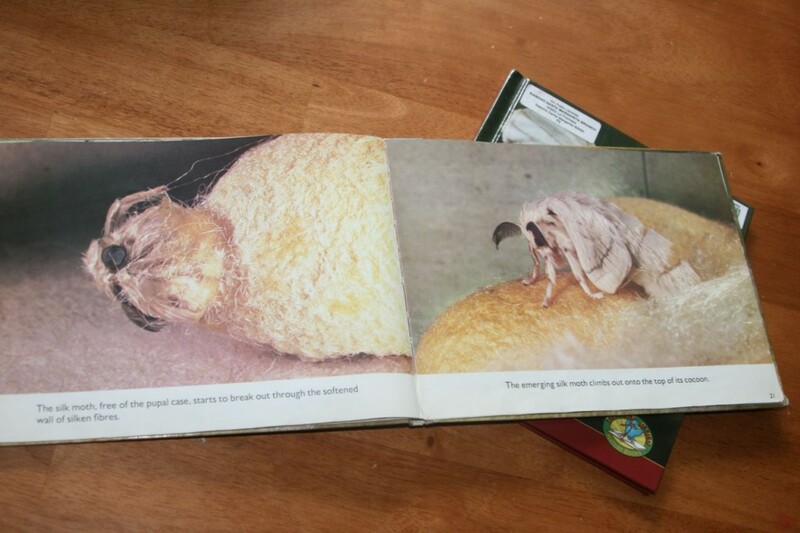 It takes about ten days for the eggs to hatch. 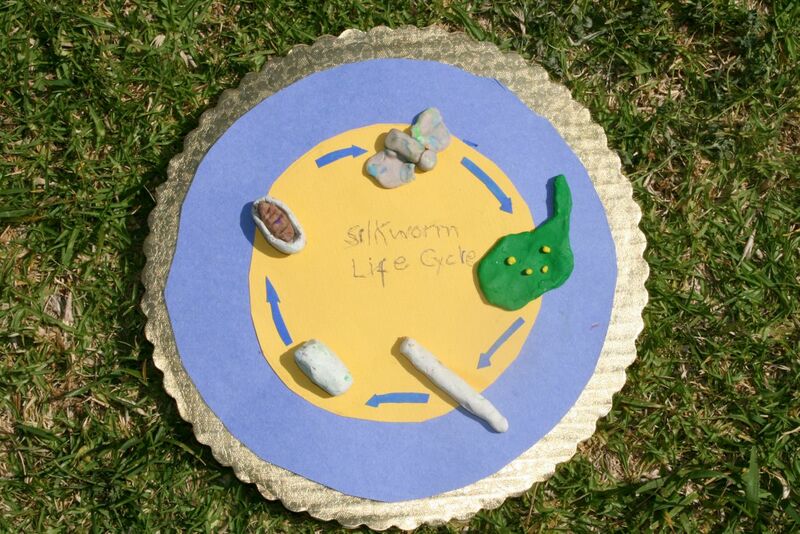 We are planning on keeping some eggs and observe the silkworm life cycle once more, now from its earliest stage. The worse part of raising silkworms, in my opinion, is having to drive to the park to harvest the leaves. For us, it is a half hour drive. Nevertheless, the Irvine Regional Park is very beautiful and worth the visit. 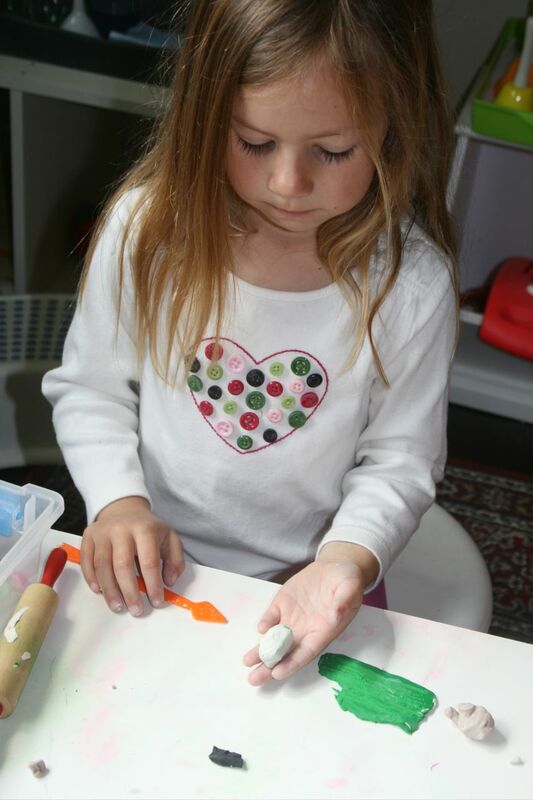 My kids enjoy their zoo and the train ride, and they spend a lot of time running around and exercising. 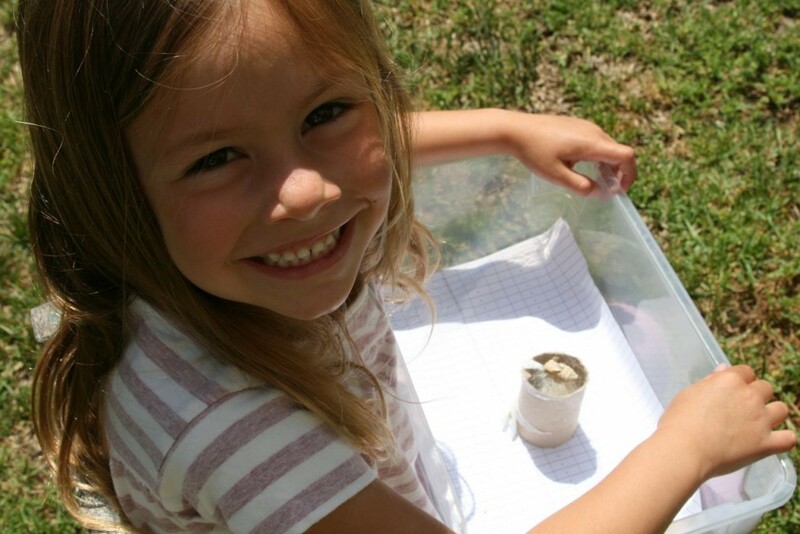 Well, I think it is great that Dani and Nico still show interest in the silkworms. 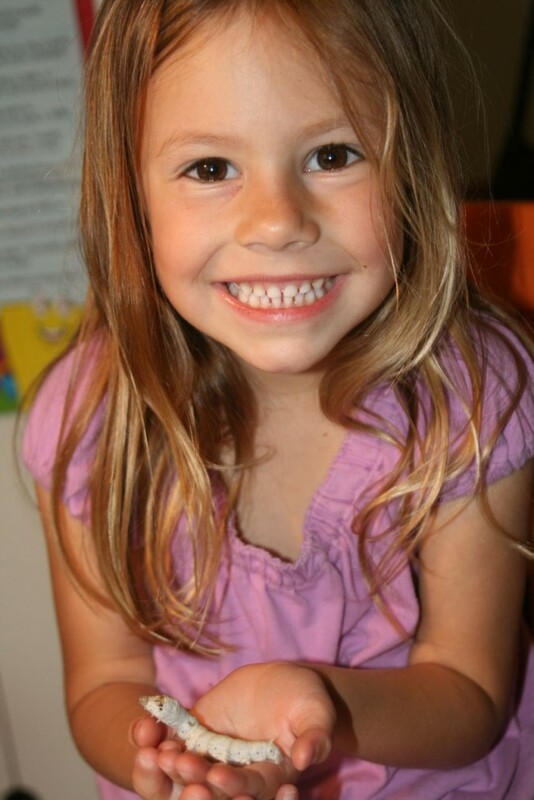 Dani even told me she can’t wait to hold them again. 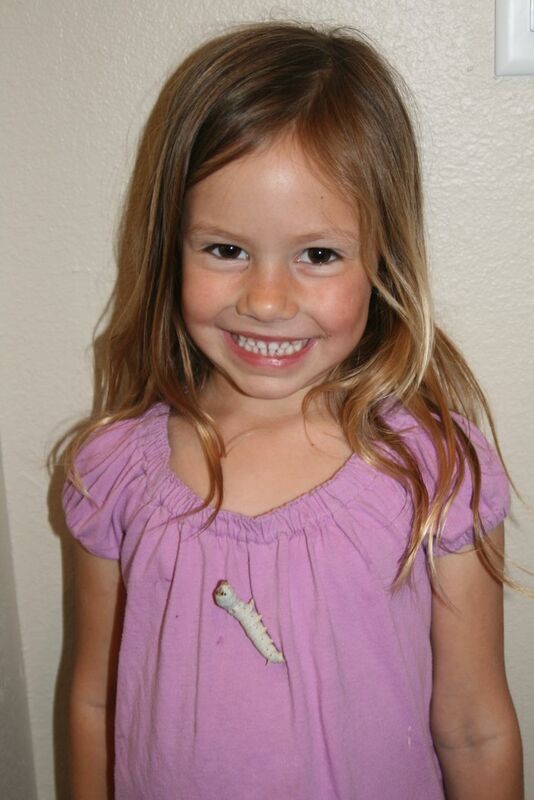 They definitely enjoy having silkworms as a pet. 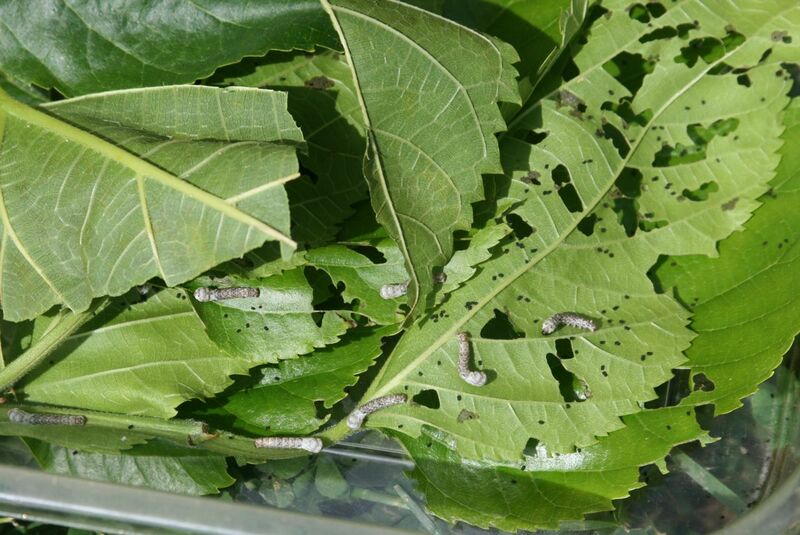 A friend of ours from the 4H Club gave us some silkworms to raise. 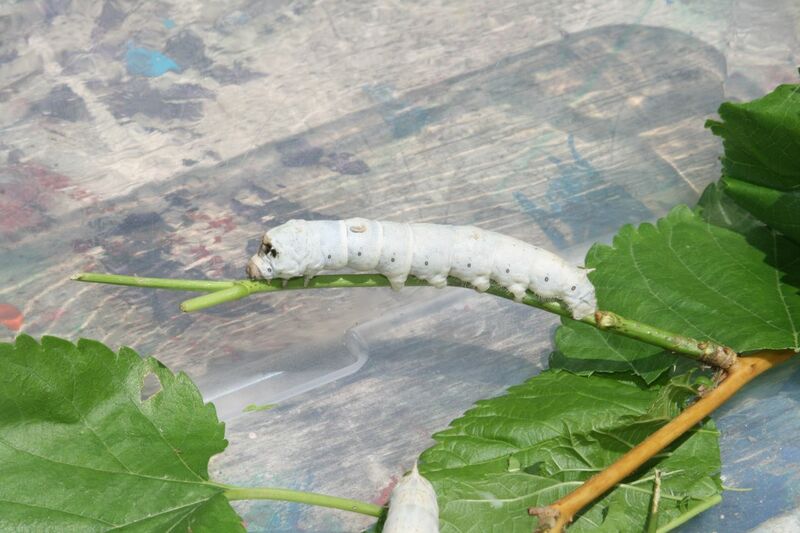 I had never seen a silkworm before and the only information our friend gave us was that they eat mulberry leaves. I didn’t even know there was such a thing as a mulberry tree, and I doubted I would find any in our neighborhood. 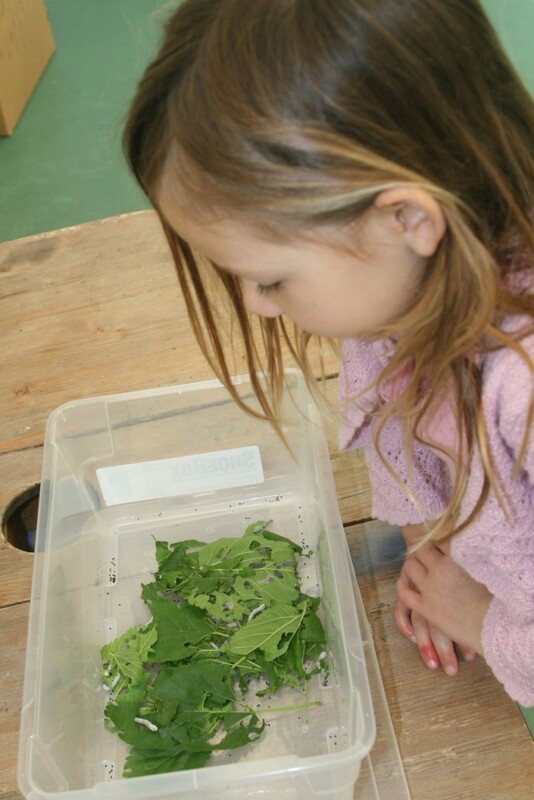 But, I couldn’t let go of the opportunity to learn more about silkworms and have the kids experience their life cycle and watch it as it unfolds, day by day, right in front of their eyes. Well, I’m glad we took the silkworms home. We found the mulberry trees at a local park and brought several bags full of leaves home for them to eat. We wrapped the leaves in newspaper and kept them inside large ziplock bags in room temperature. That kept the leaves kind of fresh for a couple of weeks. We also left some of the leaves in plastic bags inside the fridge, and that preserved them even better. 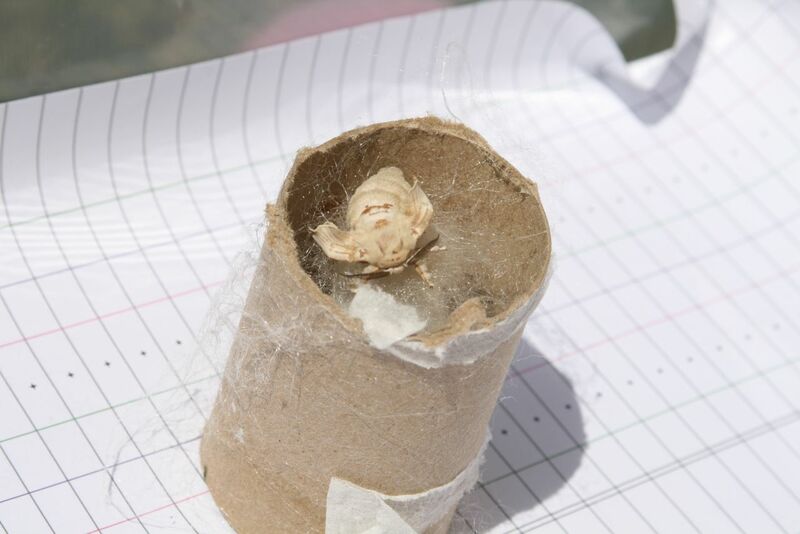 We placed the silkworms in a plastic shoe box and we poked holes in the lid for ventilation. In fact, most of the time, we left the lid slightly open in order to prevent molding and humidity. I guess, as long as they have enough leaves to eat, they don’t try to escape. 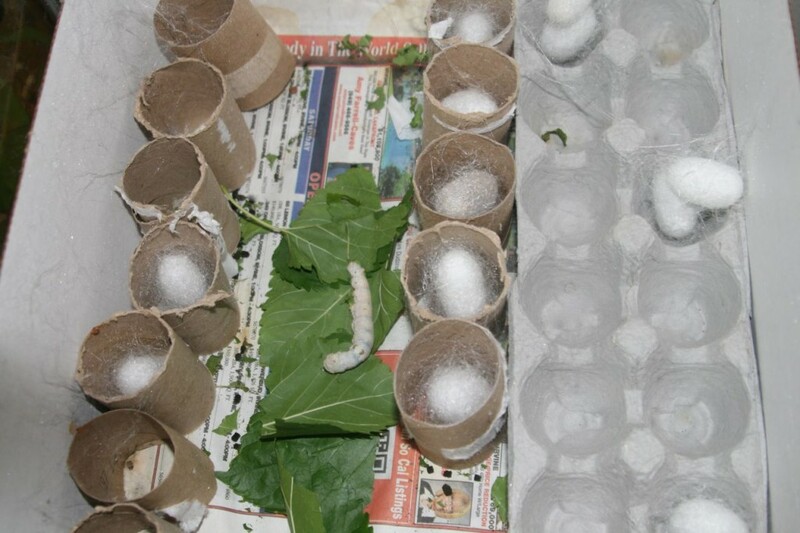 The shoe box made it easy for the kids to inspect the silkworms whenever they wanted. 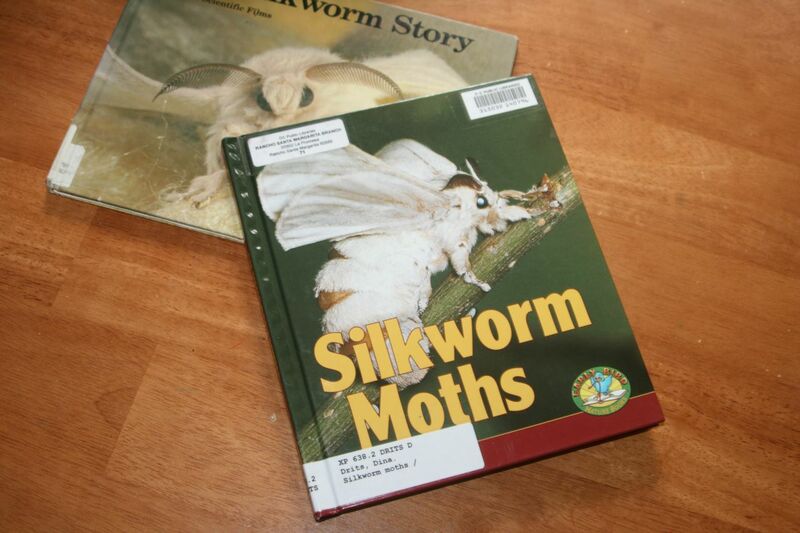 In the beginning, when the silkworms were still small, they didn’t eat that much. But, as they grew, their appetite grew with them. And the more we fed them, the more they ate, and the more they grew… By the time they were two inches long, we had to feed them at least 3 times a day. Basically, they ate nonstop. 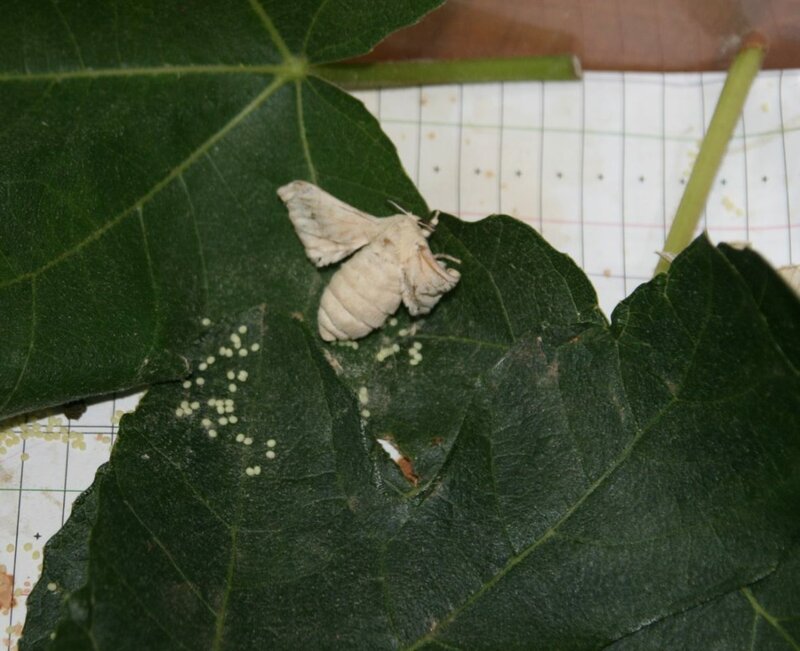 Perhaps I should mention that silkworms are not very messy, and they don’t smell, but they do poop a lot! We had to clean the box everyday. 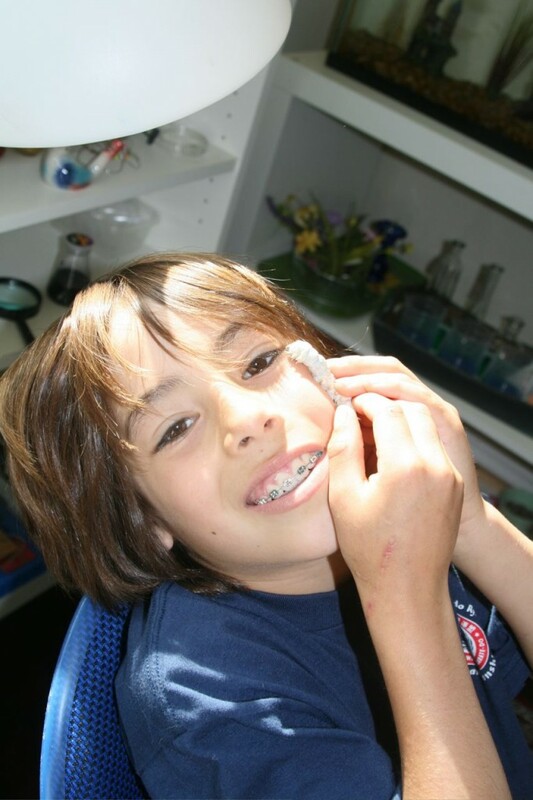 Once the silkworms grew larger, I allowed the kids to hold them. I kept a watchful eye on them to make sure they were handling the silkworms gently. I read their skin can be easily damaged. 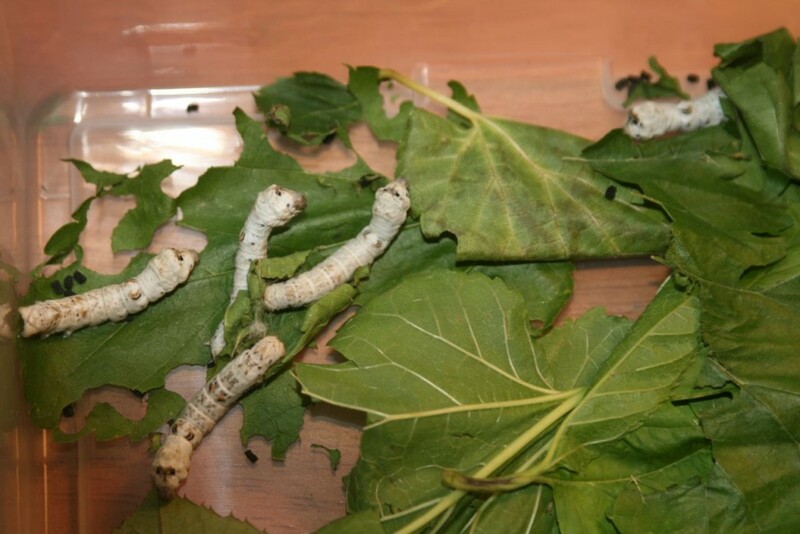 They got quite comfortable with the silkworms as you can see in the pictures below. In fact, they got way too comfortable… (Dani decided to play with more than one silkworm at a time, and she lost track of one of them. Later I found it walking on her shorts, right at her bottom, and she almost set on it! 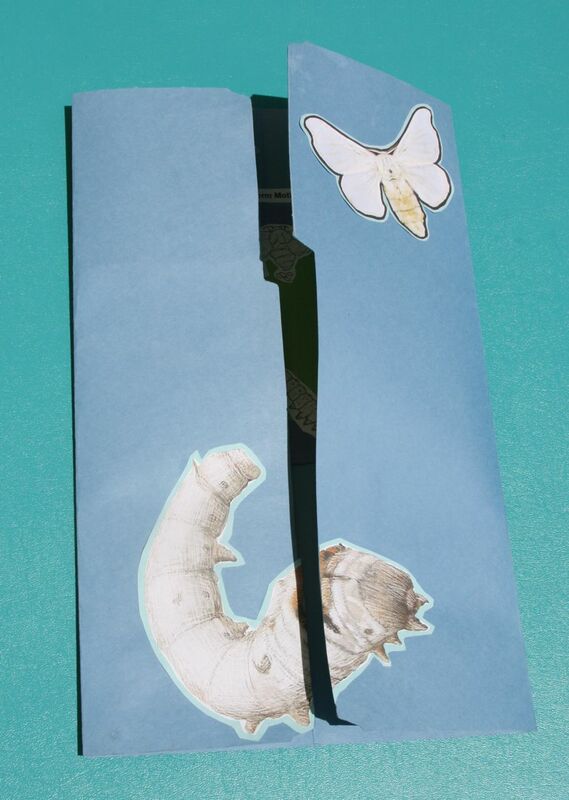 Ugh… So, a word of advice, only allow playing with one silkworm at a time!). 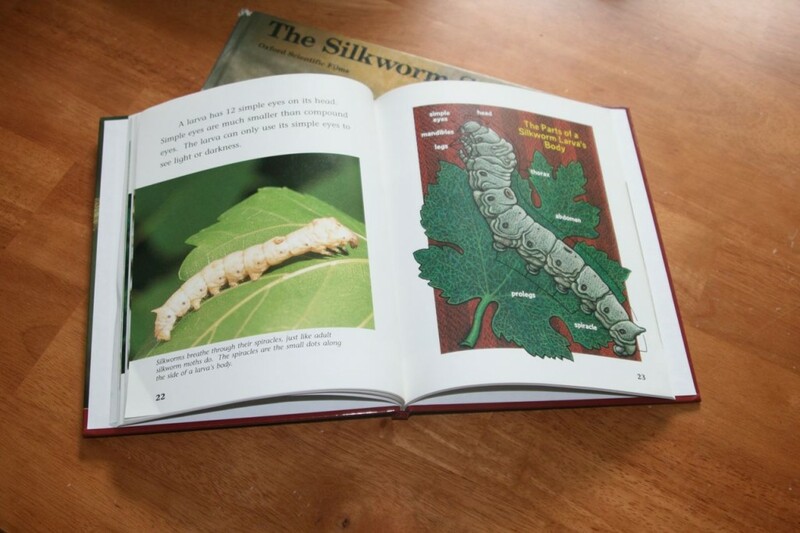 The silkworm’s skin is very soft, and their pro-legs allow them to attach themselves to almost anything, specially clothing. Also, I might add, they are very ticklish…That make holding them even more fun! 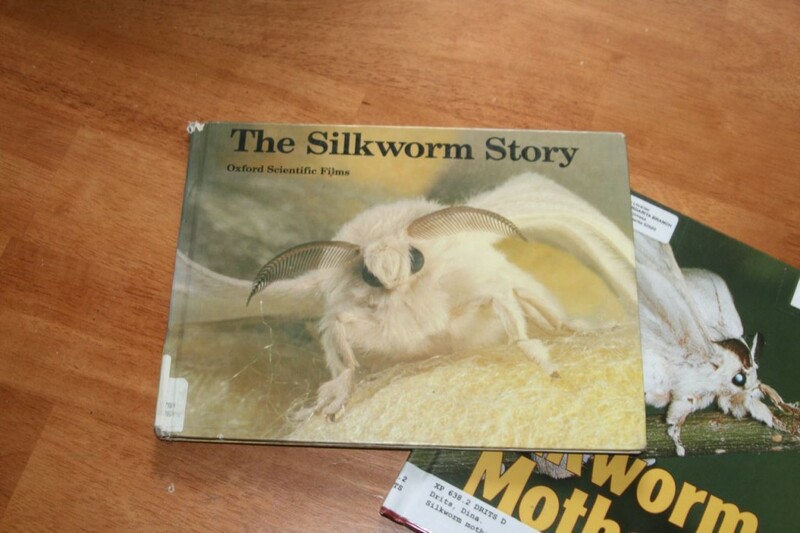 We also read the book The Empress and the Silkworm. It tells the Chinese legend of how silk was discovered about 3.000 years ago. 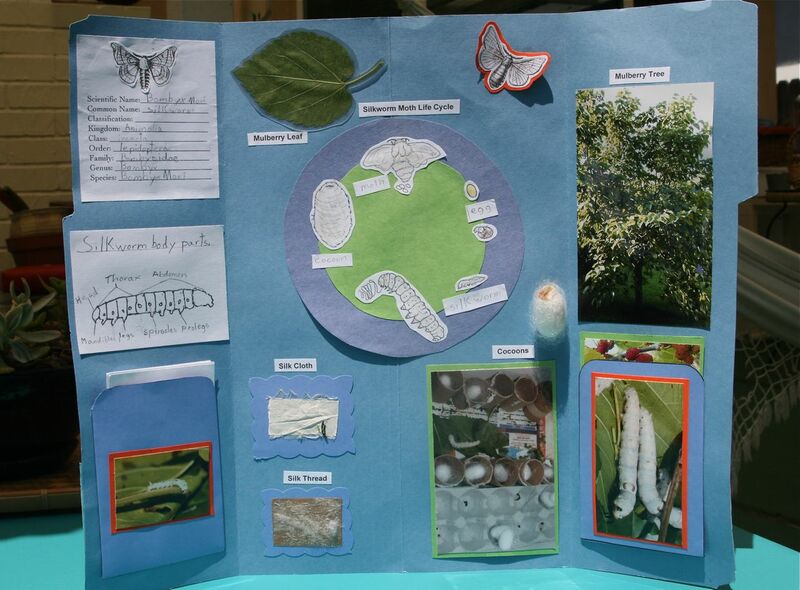 In addition to the reading, Nico and Dani wrote on their journal and worked on the silkworm life cycle. Nico also worked on the lapbook below. 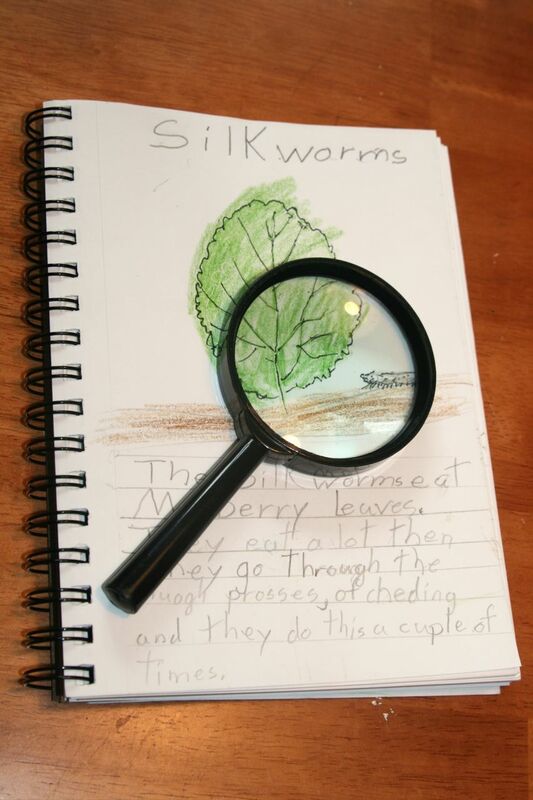 The learning experience went beyond science, as we began reading about the historic and economic significance of the silkworm and the silk they make. For that, I highly recommend the book Stories from the Silk Road. It has lots of information about the silk road as well as many interesting stories related to it.